Barcelona Photoblog: We Cagatios, the Whole Log Family Together Wish you a Merry Christmas! We Cagatios, the Whole Log Family Together Wish you a Merry Christmas! Hello my friends, we don't have snow, we haven't seen Santa Claus yet but we are all here awake, waiting for the magic moments to arrive. 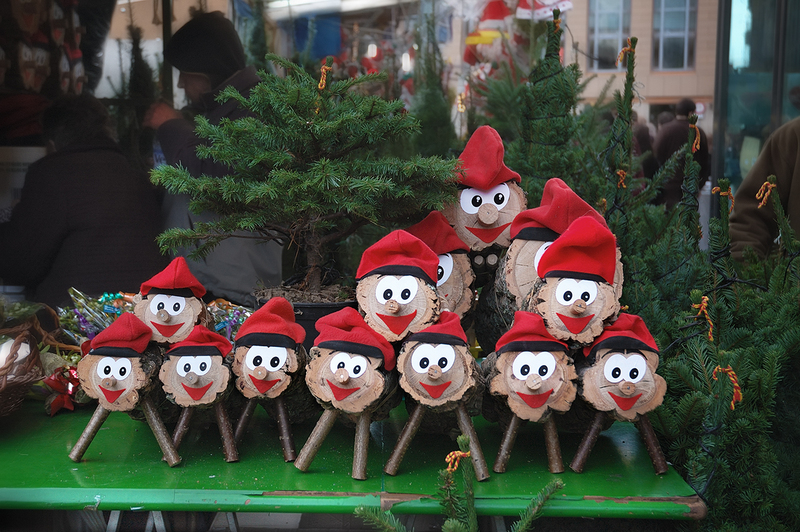 The whole family of Catalan cagatiós (yes, they call us pooping logs cause we also bring gifts when kids hit us with a rod) wish all our friends and their families a Merry Christmas. GOD JUL / Merry Christmas to you and yours. Nice. Very nice. Best wishes to you. Feliz Navidad! Muchas gracias por la decoración de hermoso regalo. Por favor, tenga una maravillosa Navidad!! Thank you for this bright and whimsical Christmas wish, Carlos! The logs are really very cute and put me in a happy mood. Happiest wishes to you and your family this Christmas Eve. Amusing term for the logs, and unusual decoration! We are having a record amount of snow dumped on us which started during the night. It was forecast so it's no surprise. It is eerily silent this morning with virtually no cars on the road or down our street. I imagine almost all businesses have closed...you can have our snowfall anytime you like! May you have a splendid holiday and an excellent 2010! Pooping logs?? LOL! That is so funny! May you and your loved ones have a joyful and blessed Christmas, Carlos!